I just love these dragonflys!! From the moment I saw this stamp set and coordinating thinlits in the Occasions Catalog, I knew I had to have them!! It's been so fun playing with them! 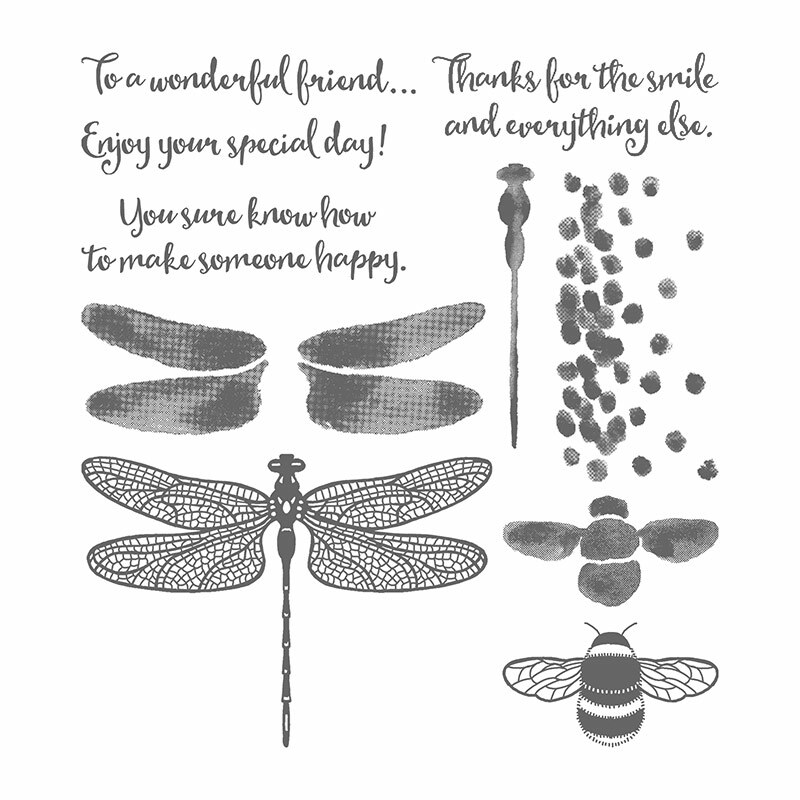 We made this card recently at our Simple, Beautiful Card Class - it features both the stamp set and thinlits. 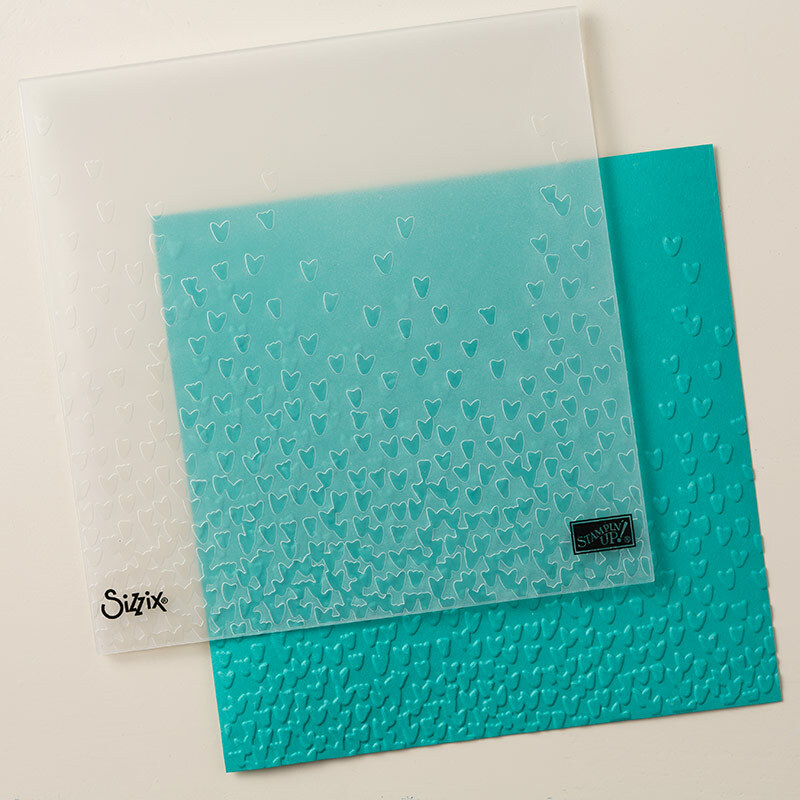 We start our card with a Crumb Cake card base, then added a layer of Very Vanilla card stock, along with a layer of the Affectionately Yours Specialty Designer Series Paper (DSP). I've been so focused on all of the fun DSP in the Occasions Catalog lately......, but it was nice to play with this DSP from the Annual Catalog, too! Next, we added a piece of Very Vanilla card stock, layered with a piece of Crumb Cake card stock embossed with the Falling Petals Embossing Folder. 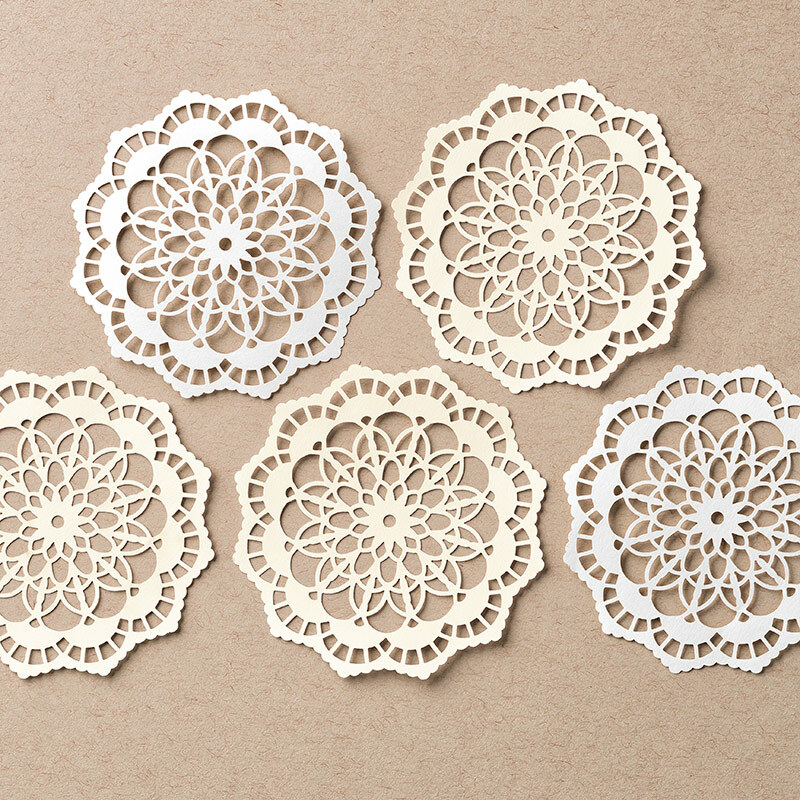 Before we added these layers to our card, we put a Lace Doily behind the layers so that just about half of it peeked out the side of the layers - so cute! 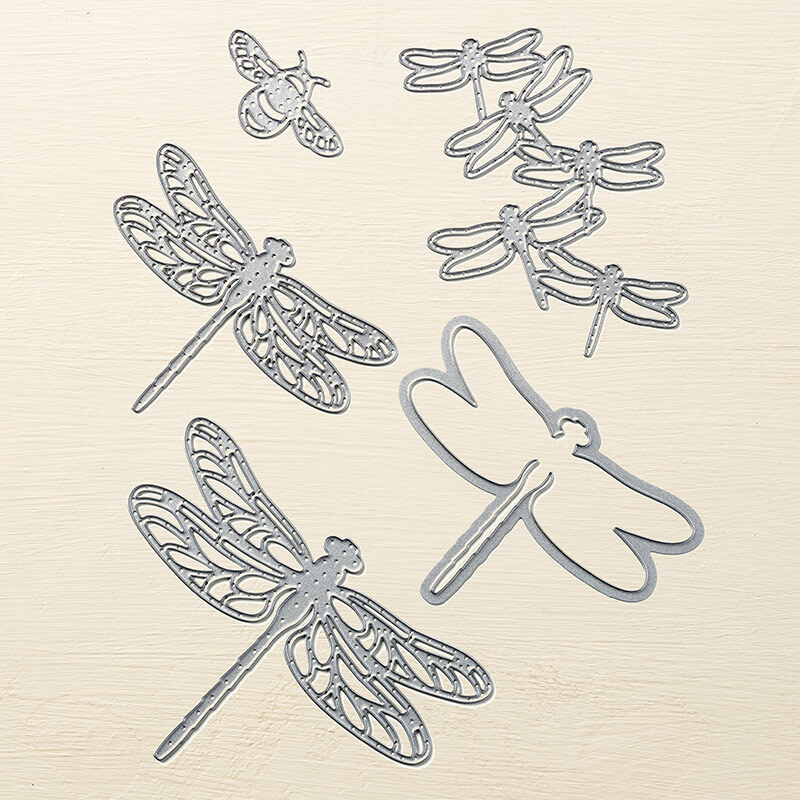 Then, we die-cut that awesome dragonfly using the Detailed Dragonfly Thinlits and more of our Affectionately Yours Specialty Designer Series Paper. We also added a couple of pearls to the center of our dragonfly. 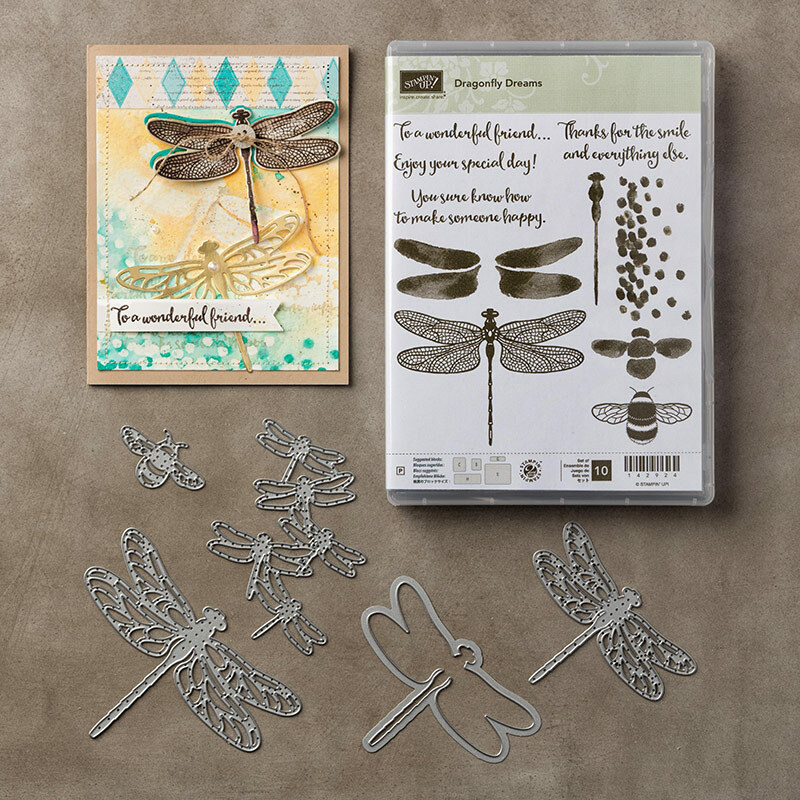 Finally, we stamped "To a wonderful friend" in Crumb Cake ink using the Dragonfly Dreams Stamp Set. 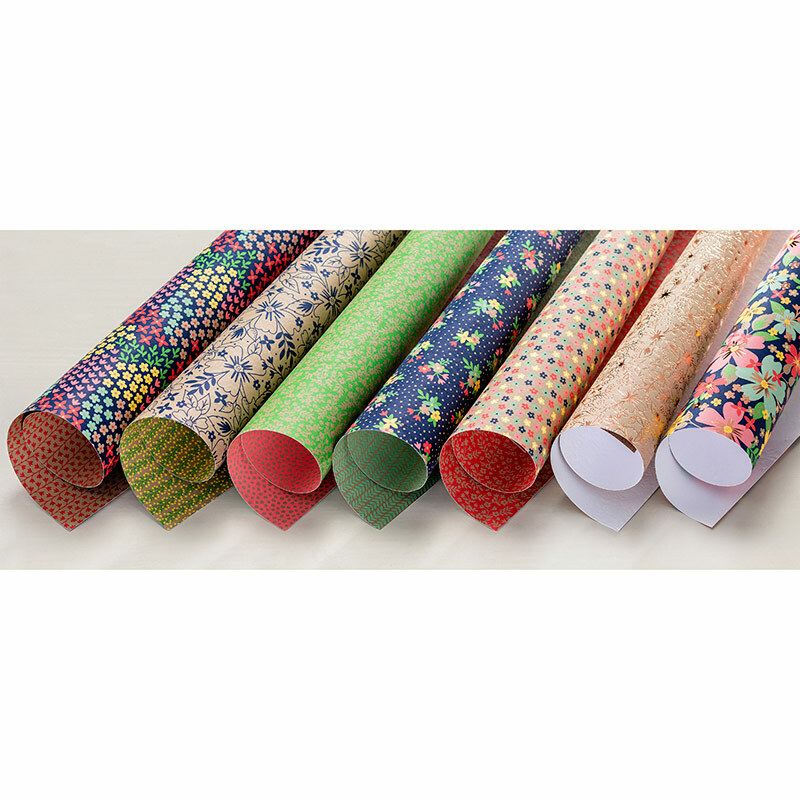 You can purchase this stamp set and coordinating thinlits separately, or save 10% when you buy them in the bundle! Just click here to see all of the 10% off Bundles. Thanks so much to Debbie Mageed for her inspiration on this card! at the Gathering Inkspiration Stamp Studio (209 E. Superior St in Alma, MI) on Wednesday, April 12 anytime from 4-9pm or Friday, April 14 from 1-3pm. We make 4 cards for $15 or the class is FREE with an order! And... mark your calendars going forward.... this class meets the 2nd Wednesday of every month anytime from 4-9pm and the following Friday from 1-3pm. Just RSVP to me at amy.frillici@yahoo.com for the next class or to answer any questions you might have. Want to order everything you need to make this card? ?